Ham House Gala guests on Sunday, July 9th saw a beautiful dressage and driving display from Minette, Vicky and Andy and then settled down to listen to an outstanding musical programme played by David le Page and Viv McLean. The setting sun over Ham Polo ground and its attractive club house made a perfect evening for all the guests and helpers alike. 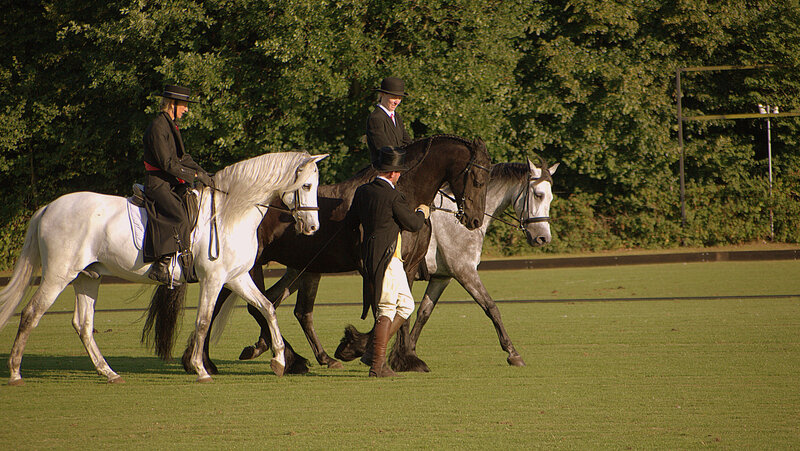 During the interlude an auction was held to raise money for the Diamond Centre for Disabled Riders. The Diamond Centre is one of the largest in the world and was the first purpose built place for disabled riding in the UK. It operates entirely by volunteer fundraising, receiving no public money whatsoever. There are 300 -plus volunteers, 340 riders and 30 horses, providing and enjoying activities from general horse riding to Paralympic Dressage. Hippotherapy, carriage driving and vaulting are also available. A donation will be made to the Diamond Centre very soon.